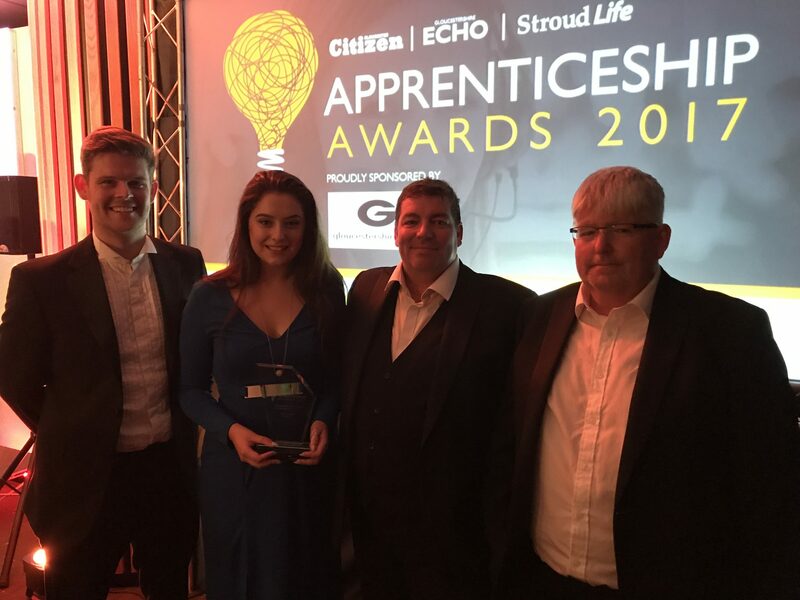 On Thursday 6th July, more than 200 finalists, guests and colleagues joined the Brobuild team at Cheltenham Racecourse for the sixth annual Gloucestershire Apprenticeship Awards. These fantastic awards celebrate the talent of apprentices within the county, and the dedication and commitment of employers. Becky Boxwell, our marketing apprentice, found out she was a finalist for the awards back in May, so excitement and anticipation had been building in the office in the weeks leading up to the big night. “In light of the fact this is about apprenticeships, and many apprenticeships are in the engineering sector which is represented here tonight, you will find a box of Lego on your tables. We have removed the instructions, but your challenge is to make something from its contents,” said BBC journalist Steve Nibbs, who hosted the awards. The Lego creations featured a range of funny designs, including an air conditioning unit; a nod to the boiling hot room we were all squeezed into, with only a couple of fans to go around! The Brobuild team was accused of cheating (we call it using our initiative and intelligence) as we ‘borrowed’ another table’s Lego to build a far bigger, and more impressive design than all the other tables, and we were therefore disqualified! We may have lost the Lego challenge, but we are absolutely delighted to announce that Becky won the Financial & Business Services Outstanding Apprentice of The Year Award. We had a brilliant evening and would like to say congratulations to all the other finalists and winners! Brobuild currently has 3 apprentices working within our team; Becky (marketing), Toby (IT), and Sam (Web Design). We really believe in the success of apprenticeship schemes, and supporting young people develop and improve their abilities and skills in a business environment. Contact our team for more information about our team and the services we offer. Subscribe now and be the first to receive notifications on our latest news and updates.